That was a fun ride… the 2017 Australian Open was one of the most fascinating recent Slams with so many captivating storylines. The tournament concluded with an all-Williams Slam final, a first since 2009, as Serena Williams came through in straight sets for slam title #23. This Match Points tournament recap post brings together the highlights from the first Slam of 2017. Serena Williams defeated Venus Williams, 6-4 6-4 in Saturday’s final to win her 7th Australian Open title. It was a special moment to see another all-Williams Slam final and after a shaky start, an improving serve and aggressive returns helped Serena to the victory. Serena will return to world number one in Monday’s rankings. Two cracking speeches. This was an awesome trophy ceremony! Lucie Safarova and Bethanie Mattek-Sands won their fourth Slam title and second Australian Open, coming from a set down to defeat Andrea Hlavackova and Peng Shuai in Friday’s final, 6-7(4) 6-3 6-3. Lucie and Beth rounded out the trophy ceremony with their dance! So many great shots from the tournament – Venus’s pure joy after winning her quarter-final was one of my favourites. Mirjana Lucic-Baroni beat two top five players in Agnieszka Radwanska and Karolina Pliskova en route to the semi-finals, returning to the last four of a Slam for the first time since 1999. The Croatian player had won just one match at the Australian Open prior to this tournament, all the way back in 1998. Venus Williams reached the Australian Open final, 20 years after reaching her first Slam final in New York. It was her second Australian Open final, 14 years after the first, and eight years since her most recent Slam final at Wimbledon. Jennifer Brady had never played a Slam main draw before this Australian Open. 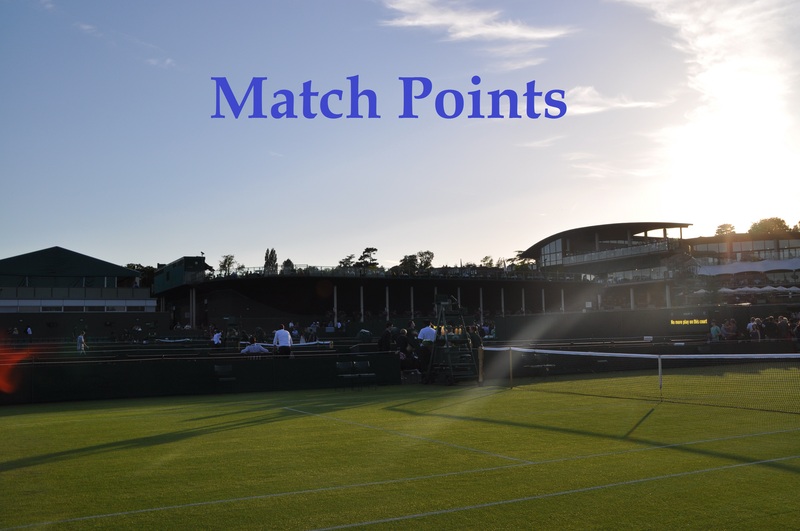 After qualifying for her first main draw, Brady went on a dream run as she secured three main draw wins, including saving five match points to defeat Heather Watson in the second round, to reach the second week. In a frenetic first round match, Lucie Safarova saved NINE match points to defeat Yanina Wickmayer, 3-6 7-6(7) 6-1. If there’s one negative from this tournament, it’s that there wasn’t a really high-quality stand-out match. Karolina Pliskova’s three set win over Jelena Ostapenko was an exciting third round contest with Pliskova rallying from 2-5 down in the third set. The Australian Open were poor at sharing some of the best rallies and points from the tournament. Thanks to Mike on Twitter for a GIF of Agnieszka Radwanska’s impressive tweener in her first round match against Tsvetana Pironkova. Venus’s joy after winning her semi-final against CoCo Vandeweghe was infectious. This will be my go-to-video whenever i’m feeling down. So many contenders but it had to be Serena and Venus from the final. This hug was EVERYTHING. The Twitter Blue Room with Nick McCarvel was a great feature this year and while they were all entertaining to watch, I loved this one with Barbora Strycova. Barbora won a microwave?! This was a great answer from Jo Konta about dealing with pressure moments in matches. For pure heartfelt emotion and with some laughter too, Mirjana Lucic-Baroni’s quarter-final post-match interview was an instant classic. And an honourable mention for Venus’s post-match interview after her first round match… Girlll, I don’t know. Congratulations to pbhillier who won the Draw Challenge for Australian Open. To join in the fun, you can enter Tennis Draw Challenge and join the Moo’s Tennis Blog league. JAMESSSSSSSSSS, VENUS’ CELEBRATION AFTER HER SF WIN, I HAVE TO AGREE WITH YOU, ITS SO DAMN FREAJKING INFECTIOUS, WHENEVER SOMEONE IS DOWN OR IN NEED OF A HAPPY PILL, THE VIDEO OF THAT CELEBRATION IS A TOTAL 100% GO-TO!!!!!!!!!!!!!! I LAUGHED AND REJOICED AT IT AND REPLAYED IT LIKE A DOZEN TIMES, SO HAPPY FOR HER AND HER OVERALL TOURNAMENT!!!!! SORRY FOR THE CAPS HAHA!! Venus and Coco was a great match. The match of the tournament for me on the women’s side has to be Jankovic vs Kutznetsova 3rd round. Unreal rallies and points.. showed why they’ve been so good for a long time! Yep could have mentioned this one! Still bitter this didn’t get on Rod Laver Arena although I think Genie-CoCo was a solid match. Cheers @James and everyone, it was a pleasant Aussie Open run. Not quite sure what to make of having older favourites in both men’s and women’s finals. Could there be any deeper lessons or significance for the tour from here on out. It was great to see Federer exorcise his Nadal demons too. I think it may just be why those four are the champions they are, pure resilience. My nights were a mess due to time differences but was well worth it. A lot of very good matches on the men’s side, on the women’s, a few interesting ones for me. Pliskova coming back against Ostapenko was intriguing and edgy fun with Sveta and Jelena. Venus managing to resist the force that was Coco on a tear with her own fight was perhaps the match up for me. Taking nothing away from either opponents performance, Konta and Garbine’s inability to exhibit serious fight backs in their respective losses was a bit disappointing. But, Serena with 23 slams, that is that. Thank you for all your comments, really enjoy reading them! Sorry I haven’t personally responded much this past week, it’s been hectic. I must say I though this was one of the best Slams for the men in a long, long time. The women had a great one in terms of storylines but I felt it missed out some high quality matches although as you say, some good ones such as JJ-Sveta. It’s definitely been a tournament where the older players have shone, on both the men’s and the women’s sides; it was also amazing to have two finals where the youngest player was 30. Lucic-Baroni’s run to the semis was for me the feelgood story of the AO amd I hope it isn’t the last success she enjoys in the women’s game. Congratulations to Serena on her 23rd slam, with maybe more to come this year; if she can maintain that form it’s difficult to see anyone beating her. However, Roger Federer’s first major title in nearly five years took the biscuit for me; can there really be any doubt now that he’s the greatest player ever in men’s tennis overall (though Rafa has a good claim to be the best on clay)? It was tough luck on Rafa that he lost, although you could argue it was even tougher for Roger to lose their 2008 encounter at Wimbledon which a lot of people regard as the greatest match of all time. I believe that Venus is deservedly seen as women’s tennis’s elder stateswoman; as she said when asked if she had any thoughts about retirement; “What else would I do?” She’s had to lose to players whom she would doubtless have creamed in years gone by before she developed Sjogren’s syndrome, and somehow she still manages to exude grace and dignity. Mirjana’s post-match interview after beating Pliskova was one of my favourite moments of the tournament! She’ll get a big boost now with her ranking so I hope she can take advantage of this opportunity. I was blown away by the men’s final earlier, that fifth set was such great entertainment. I was a neutral for that match so loved it although I have to admit in the end I was happy Roger won.